One of the questions I get often is how old is old enough to start shooting? I usually say six is a good average age, it depends on the child. However...as soon as they can toddle they can start to learn gun safety. As they grow, they can learn on water guns, air guns, working their way up. Teach them to respect a gun and not touch one when you aren't there. Take the mystique out of firearms. Even if you keeps yours locked at all times, your child may be at a friend's home and find a firearm. Learning safety skills can go a long way to preventing tragic accidents. Then, as they get older and are ready to shoot, take them, use it as family time. Shooting is fun! One thing to remember, if you do have firearms in the home with kids...they are tricky! The kids I mean. When I was young, I could find every Christmas present, open and re-wrap it, without anyone knowing. Don't think that storing your pistol in a shoe box in the back of the closet is adequate. A safe, even a biometric safe that you can open in the dark, is crucial. The combination of safety education and careful storage will go a long way to keeping the family safe. Occasionally I get a question from a reader, and this was about the Marksmanship Program. I found it extremely helpful in advancing my skills, at my own pace. I completed the pistol program recently, and in working through it significantly improved my one handed and weak handed shooting. Plus, I’m a little geeky, I liked sewing the patches on my range bag. What about the real world, not target practice? One handed and weak handed shooting is a real world skill. If you are ever in a confrontation and are injured, you may need to be able to use on hand, or use your weak hand as the primary shooting hand. If you have practiced, and mastered, hitting a target, you have better odds of being successful in a real situation. I’ve been learning more defensive drills lately; shooting without sights, drawing and firing, startling then acquiring my target and making the shoot-no shoot decision. Do I think the skills I developed working the marksmanship program help? YES! Could I do one without the other? Sure, however, I considered it part of my training and practice and skill development. I think the confidence I gained completely the program help me have confidence in my ability to hit my target, without sights, while moving, one handed, etc. If you only have a short time to learn because you are in a potentially dangerous situation, learn the point and shoot method, don’t worry about the sights, focus on pointing at center mass the throwing lead. Master that, then practice refining your skills. I’ve just started the light rifle program. This one may take me a little longer but it is fun! I just had the opportunity to review the book, 2012 Gun Laws By State, available at http://www.gunlawsbystate.com. This is the best comprehensive overview I've read. It is written in plain English, you don't need a law degree to understand it. There are a lot of excellent references to where to find additional information, which is good since the laws are changing every year. I plan to keep a copy nearby whenever I teach a class to help answer questions. I recommend this for anyone who is looking to carry or transport a firearm outside of their home. It is available as a download .pdf version or a hard copy book. Of interest, to me at least, the soft copy is key word searchable! As information comes out about the tragedy in Colorado, one of the things that struck me was that so many people just sat there, even after the gunman started shooting. Where have we heard that before? School shootings, restaurant shootings, church shootings…it seems anytime some maniac walks in with a gun people don’t believe their eyes and are slow to respond. Are we so inured to violent acts because of TV, movies and video games that we don’t recognize the threat as real? Are we afraid of being embarrassed by diving under a table only to find out it was a kid in a costume? Are we just so stunned that something bad is happening, the reality and gravity of the situation seem unreal? This is our world. What can you do? Assume anyone who is brandishing weapons means it! MOVE. Get away, or hide behind cover, dive to the floor, under a table, make yourself a smaller target, get out of sight…do whatever you have to do. If it is a bad joke, embarrassment you can recover from, a bullet wound is a lot more difficult. I hope you never have to implement your plan, but if you do…at least you will have one. Should you shoot when you are expecting? Should I shoot when I’m expecting? That is between you and your Doctor. My advice is Not Unless Your Life Depends on It! Exposure to loud noises can damage your hearing, perhaps permanently. Studies have indicated that the womb amplifies sound via the fluid. Therefore, depending on the stage of development, your baby is being exposed to very loud noises without the cognitive ability to anticipate of understand where they are coming from. Plus, their little ears may be more sensitive than ours. Think how loud the gun shot from a 9mm or a .38 is with your ear protection on? Imagine if you had nothing to protect you from that noise? Think about lead exposure. Sure, it is minimal, and for the average shooter the fully developed system takes care of it for us, but for a fetus the lead particulate is filtering through Mom right to the baby. Junior’s system may not be developed enough to process the lead. Lead exposure has been proven to be responsible for multiple developmental and cognitive issues. Even an outdoor range exposes you to lead, debris and noise. Plus, there are multiple chemicals involved with cleaning your gun after shooting that you may not want to expose your unborn to. Bottom line, it is between you and your Doctor. However, unless you life is on the line, consider keeping up your skills by dry firing and save the live fire for when you need a break from the new baby. Cute as they can be, there will come a time when you want to pull your hair out. That is a great time to head to the range and make holes in paper. Just leave your precious bundle at home with Dad. In light of the recent tragedy, and my heart goes out to everyone affected by this maniacs rage, there lives are changed forever even if they were close by but not injured, I am re-thinking establishments that ban concealed carry. Some locations ban carry in such small print that you can legitimately miss it. If you do, and are challenged by a security guard, don't lie, and leave immediately when they ask you to. That should keep you out of trouble. However, if there is a big sign, well, for me...I probably don't need anything there I can't get somewhere else. There are a lot of anti-gun people screaming for more control in light of the tragedy in Colorado. However, there are a multitude of stories in the unbiased press that detail incidents where legally armed citizens prevented such tragedies or stopped criminals in their tracks. Stay alert, stay safe and let the "No Guns" establishments that are likely to be cropping up know that if they don't want you, you are voting with your feet and taking your business elsewhere. 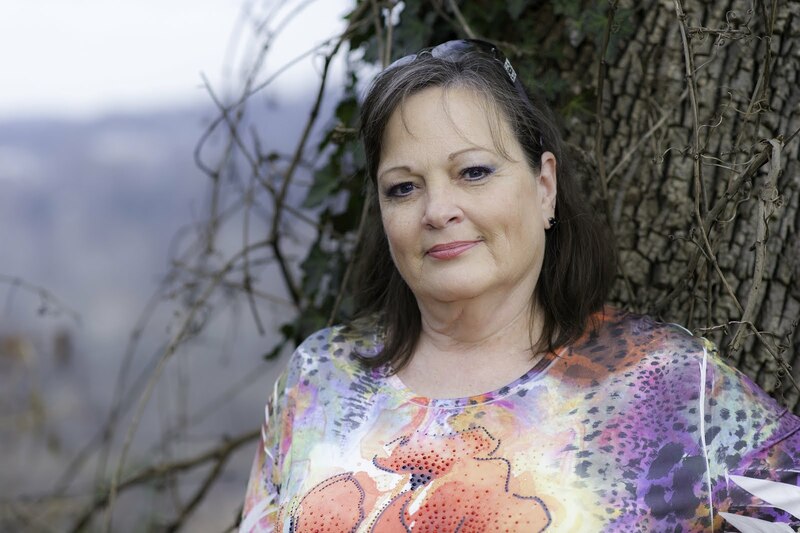 There are many options for women to wear summer clothes and still carry concealed. Most of you know I encourage you to carry in the same way all, or most, of the time to avoid the moment of panic when you reach for your gun and it isn't where you trained for. But...there are times when that isn't possible. If you can't carry your normal holster, consider something like a Remora holster tucked into the general area where you usually carry. It doesn't take a lot of pressure on it to keep in place. Flashbang makes options beyond the one you thing of, hanging from the center of the bra, although that can work if you are wearing a blousy peasant top. They also have one, for the LCP sizes gun, that tucks on the side of the bra. There are similar tuck into the waistband or boot models. for the bigger guns. Best trick if lose of snug. You can still wear the snug tank top tucked into the cute little shorts to show of you summer shape, but you need a blouse or vest over the top. Aren't you glad retro crochet is in style? They make great cover garments. In your bikini...not too many options. I don't advocate purse carry without a purse, but ...you could consider a pocket holster, or Remora, tucked into your beach bag. The thing to remember, is you can not leave your gun unattended. One maniac with guns and 12 people gone, many more seriously injured, all traumatized for life. Expect a rally cry from the anti's. I have heard it is illegal for CCW permit holders to carry in a movie theater. One law abiding hero and how many lives could have been saved? But, no. This gives me pause about visiting any place the openly bans Concealed Carry. My heart goes out to the victims and their families, they are in my prayers. This is an excellent lesson in awareness. I'm sorry someone had to be injured, but remember it can happen at any time to any one. Do you remember being a child? I do, parts of it anyway. Every Christmas I would find all the presents, open them, look at them, re-wrap and then put them back. Kids are crafty that way. Do you a firearms in your home? Do you think the kids can’t find them? Think again! The best advice it two fold. One, lock up your guns! If you keep one for home defense in the Master Bedroom, consider a small gun safe. There are many models available now that have locks you can work in the dark, without having to see what you are doing. Two, teach the kids gun safety from an early age. Start them with what they can handle, you can even practice on a water pistol. Teach them not to touch a firearm without an adult present. Teach them to keep their finger off the trigger, point it in a safe direction, assume it is loaded. All the basic safety rules. When they are old enough, you can take them to the range and let them try shooting, again, with close supervision and lots of emphasis on safety. How old is enough? I recommend six, but if may vary with the child. Telling your kids there are guns, letting them see them, teaching them the safety rules, takes the mystique out of the gun. Why did we go hunting for the Christmas gifts? Curiosity! If they have been shown to me I wouldn’t have been curious, and I wouldn’t have been tempted to look for them. Taking away the mystery of something forbidden, and teaching safety rules can go a long way to preventing tragedies. Yesterday I had my first, informal, introduction to CFS. I got to spend a little time at the range with my boss/instructor before the students arrived. He was recently certified to teach this program. He showed me the Figure 8 drill, which I must admit was impressive and intimidating. He took it easy on my and walked me through a less advanced drill slowly then gradually sped it up. It was a challenge and at the same time showed me some things I need to work on. I haven’t taken the course yet, but plan to the next offering. From what I have read and what I learned yesterday, this is not for beginners, but if you are an experienced shooter who is looking to advance your defensive skills, this is a must do course. I had already been working on shooting without using my sights, more natural point of aim, at least at 15 feet or less. It was a harder transition than I expected because I had been working so hard to finish the Winchester Marksmanship program (which I did for pistol), now I can focus more on natural point of aim and spend more time training drawing from cover and the one I enjoy the most, rapid fire dumping a mag into a target. Probably not the best use of ammo compared to real life, but very fun. 1. SHOW NO FEAR! Inside you may be quivering like jello, but outside stay cool. Easy to say, hard to do, but it you prepare yourself before it happens you are better off. Catch him or her off guard with a strong voice and response. 2. GET OFF THE X! This means MOVE! If someone is charging toward you, move to the side, move to cover, get out of the way. Think Matador not Tight Rope. Once you are off the X, keep moving. Of course there may be a situation where you need to stay and fight, but it is always preferable to get away and live to fight another day. If you must fight, the only rule is NEVER GIVE UP! Show the cretin the same mercy they are showing you. Do not be squeamish, or worry about causing injury. You believe you are fighting for your life and your body. Go for the tender areas, the eyes, the groin. You are fighting to stop the threat. If that means a physical response, employing a weapon, or shooting them; you do what it takes to stop the threat. Once the threat is over, get to safety and call the police. Then…consider an advance class. How soon? That depends on you. If you are consistent, and comfortable within a few months, you are ready to go to the next level. If not, you might need a little longer. But, what next class to take? That depends on what you want to do with your shooting. If you are a plinker, maybe an advance pistol, or a beginning rifle class would be fun. 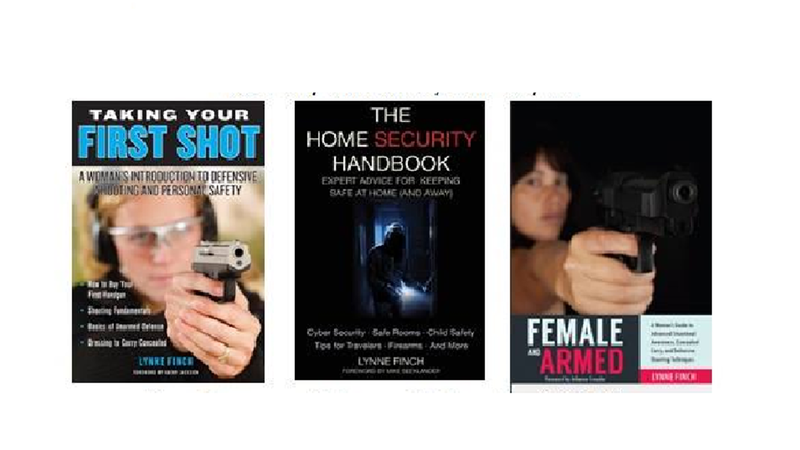 If you are looking for self defense there are more options. You can look for an NRA Personal Protection in the Home class that will help you understand the need for a safe room and how to protect yourself and your family if danger comes through the door or window. You could look at a NRA Personal Protection Outside the Home class. You could consider a Concealed Carry course offered by local instructors, or even a Combat Focused Shooting class, developed by Rob Pincus, that is becoming quite popular (although they may be harder to find depending on your area, but more and more instructors are getting certified to teach this program). The key is to keep learning and keep practicing. When do we stop learning? When we stop breathing. Until then, there is always something new! There is a common expression that practice makes perfect. Actually, practice makes habit. If you practice wrong, you will develop muscle memory and habit that is incorrect. A school of thought is that is takes 1000 repetitions to form a habit but twice that to break the habit. For example if you routinely slingshot the slide on your semi-automatic you will form that habit based on your practice. That does not mean that you have practiced perfect, you have practiced and created a habit. If you learn the correct form from the beginning, often with the aid of a skilled instructor and practice what you learn, you will be making good habits. Perfect practice makes perfect habit. Imperfect practice makes imperfect habit. Why is this so important? Building a habit, and muscle memory, means that when you are in a situation where you must respond quickly, by habit, you will do what you practiced. If you have practiced and developed good skills, your response will be better. If you practiced bad habits, your response may be flawed. Practice safely, practice right and practice often! This ia a great day to reflect on our freedoms and the sacrafices made by the "founding fathers". And, God Bless the troops who have defended thost freedoms to this day. It doesn't matter if it your first class or an advanced class, the right instructor can be the difference between a great experience and a frustrating one. You have identified a couple classes or instructors that look interesting, but how do you know you have found “the one”? Talk to him or her. If they are not willing to spend a few minutes answering questions, move on to the next instructor on your list. If you have to leave a message, or send an email, give them at least 24 hours to get back to you. Most of us have day jobs, and we teach shooting because it is our passion. We love it! But, that means it can take us a day to get back to you. Once you get in contact, what questions should you ask? Following are some suggestions that should help you get a sense of the instructor and their personality so you can judge if you would be comfortable with them. · Are you a NRA Certified Pistol Instructor? · Are you following a NRA approved curriculum? · How many students are in an average class? · Is there range time included in this class? · Do I have to have my own pistol or will you have guns I can shoot? · Are you the one who will be teaching my class, and if not, what can you tell me about the instructor I will have? · How long have you been teaching? · Where will the class be held? · What range do you use? · Does the range have eye and ear protection I can borrow? · If you have any physical limitations or restrictions you may ask if they have experience with your particular needs. These should give you a sense of the instructor, and how you will respond to him or her. Ask any other questions you may have, such as; “How do you handle nervous students?” Are you comfortable with the person you spoke with, their answers, and attitude? The introduction to shooting can be a little scary and you want someone to lead you through the first shots that you feel comfortable with and trust. If you are not satisfied, keep looking! I promise there is an instructor out there for you. The adage “You have to kiss a lot of toads to find a Prince” applies to finding the perfect instructor. We all have different needs, and there is at least one perfect toad, or instructor, out there for you. Your first class can set the tone for the rest of your shooting experience. If you leave with a huge grin thinking, “That was AWESOME!” your instructors job was done well and you will want to come back and do it again! If not, returning to the range can be a little intimidating and might not be a high priority.